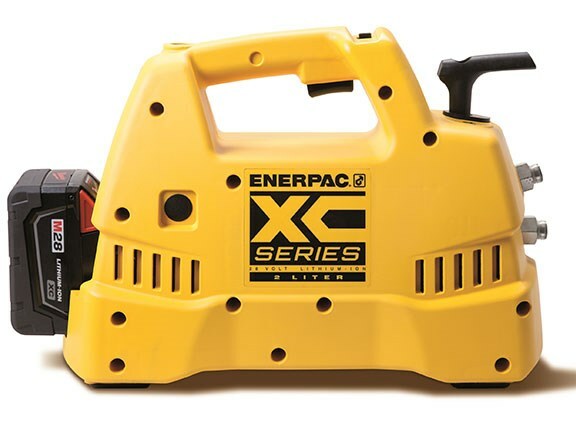 Enerpac has released its XC series of cordless hydraulic pumps which it says offer the performance capabilities of an electric pump with the portability of a hand pump. Enerpac advises that the XC series pumps can provide as much power to hydraulic tools as a basic electric powered pump and can create up to 700 bar of pressure. This roughly equates to a five-fold increase in power over a manual hydraulic pump and up to two times the power of pneumatic-powered pumps. The pumps are ‘double-acting’ meaning they offer both powered extension and retraction of a diverse range of cylinders and tools. 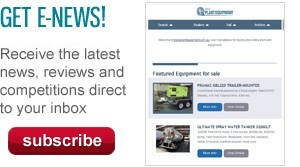 "XC series pumps are a cost-effective solution for remote locations or hard-to-access areas. The combination of both speed and power also makes the XC-Series one of the safest, most ergonomic hydraulic pumps for everyday use," Enerpac regional manager Denis Matulin says. Applications the pumps are suited for include (but are not limited to): underground rail and structural work, mobilising heavy equipment, equipment maintenance, hose or pipe crimping, construction and electrical installation. The pumps are powered by a 0.4kW motor and come with a 28-volt lithium-ion battery. Enerpac claims the battery will last for 279 cuts using a WHC750 cutter or 28 full lifts of an RC104 cylinder. The XC pumps also have a number of safety features. The most obvious feature is its cordless design, meaning no dangerous cords on site to trip on. The pumps also feature overload protection circuitry from excessive amp draw and a trigger lock-off mechanism to protect against unwanted operation during transport. The pump can also be operated in any position thanks to the XC’s bladder-style reservoir, which prevents contamination or any leaking.